Our Traffic Engineering Division has earned a national reputation for safety and the strategic movement of massive numbers of vehicles and pedestrians for large-scale events, conventions, stadiums/venues, and residential/commercial developments. We’ve designed efficient traffic systems that support volatile fluctuations in capacity, event attendance, and city-wide growth. Our staff has worked on projects such as city traffic systems, large scale construction projects, highway-rail grade crossing safety audits, and everything in between. ETA’s dedicated engineering team is passionate about making roadways, highway-rail grade crossings, construction projects and events safer and more efficient for the traveling public. Transportation is typically the first and last impression that guests receive of your event or city. The ease of which the guest travels – whether walking, riding a shuttle or even traversing on a bike – provides a lasting impression of your event. ETA knows the importance of these lasting impressions. We take great care to ensure the transportation element of your event is a positive memorable experience for your guests. To help ensure a positive transportation experience, the Traffic Engineering Division lends its expertise to each of our event transportation plans. Our team has extensive experience working with municipalities, public works, police departments and transit authority personnel. 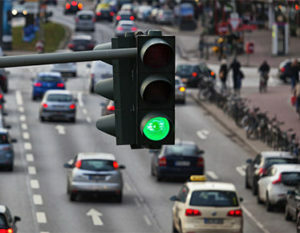 We speak the language of traffic engineering to ensure seamless communication between a major event and the host city. Additionally, our engineers analyze historical data and assess traffic flow around major event venues in order to anticipate and proactively develop countermeasures reducing traffic congestion and improving safety. This allows potential problem spots and pinch points to be addressed in the event planning stages thus reducing major city-wide delays and improving efficiency of the event and commuting traffic. The following is a list of services ETA provides to cities, host committees and event organizers.